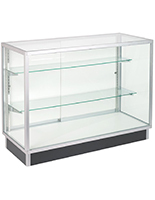 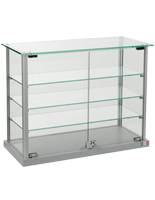 Sliding doors and key lock entry make this tempered glass countertop showcase a secure option for your valuable merchandise. 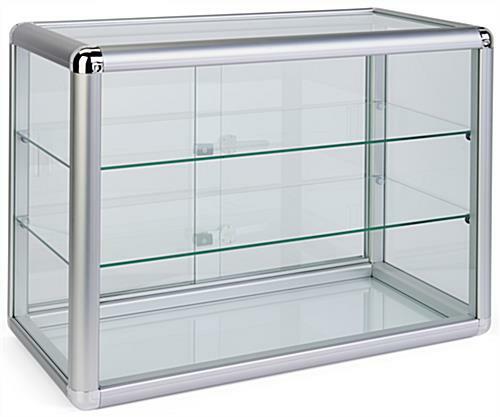 Sleek by design, the aluminum frame on each display case features radius edges. 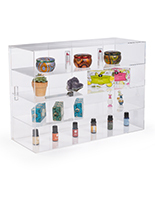 Two shelves offer ample space for jewelry, electronics, or antiques within the key lock countertop showcase. 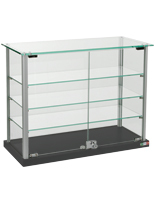 Removing the hassle of assembly, each display case ships pre-built and ready to use once delivered. 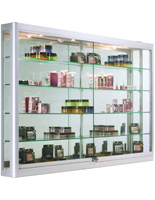 Design your cabinet interior to your liking with ease when utilizing the sliding doors which features a wide opening. 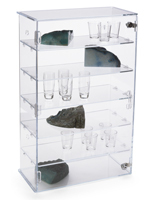 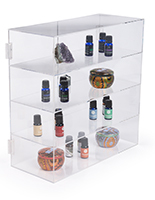 This countertop showcase offers a high value product at an economical price! 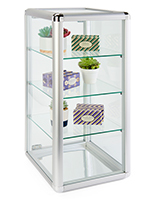 12.0" x 18.0" x 24.0"
We expect to have more in stock within 60-90 days.